Bill Edmonds is a business consultant and executive coach. He is the Owner of TAB Columbia and Northstar Leadership Solutions, both located in Columbia. SC. 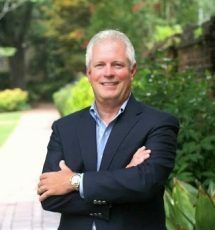 Previously he was a Market Director and Executive for Merrill Lynch, with leadership responsibility for most of South Carolina and parts of Georgia. Bill is a graduate of the University of South Carolina. He started his own financial services agency in the mid-1980s, prior to being recruited by Merrill Lynch to be an advisor, and then later for senior leadership roles with the firm.